All Silverlight Examples, Deep Zoom, Pivot, Silverlight Effects, by Gavin Wignall. I recently looked into the Microsoft Labs Pivot tool which now allows you to place Pivot experiences within Silverlight projects. To learn this new technology I needed a source of data with correlating imagery to use as a test subject. 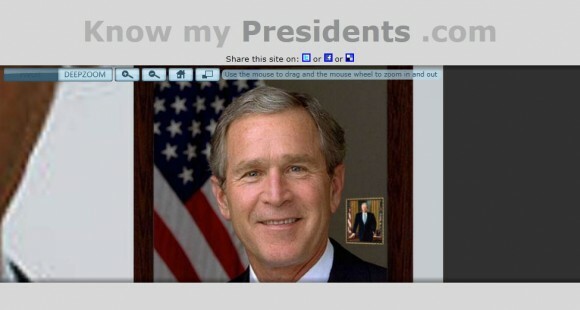 Seeing as I used the “American Presidents” as one of my test subjects for a DeepZoom experiment over a year ago, I thought to myself, why not use them again. 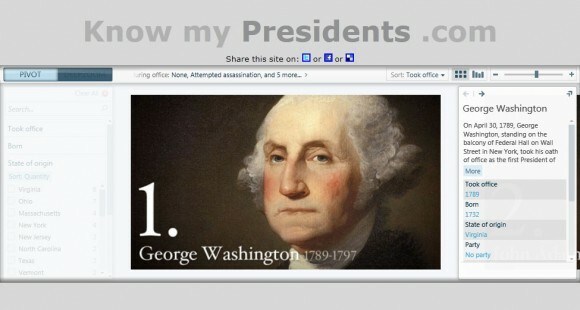 First off I scrapped and grabbed as much data on all the 44 Presidents that I could find. This included everything from their birthdays, religion, salaries to how they died and more. Pivot takes all this data after it has been neatly constructed in an XML file and outputs it as a visual interface. This interface allows you to cross reference the data to compare your subjects in a visually attractive manor. I decided to wrap up both last years DeepZoom and this years Pivot experiment into one experience and host it on it’s own space at http://www.knowmypresidents.com. First choose which experience to view, you can flick between them at any point later on. 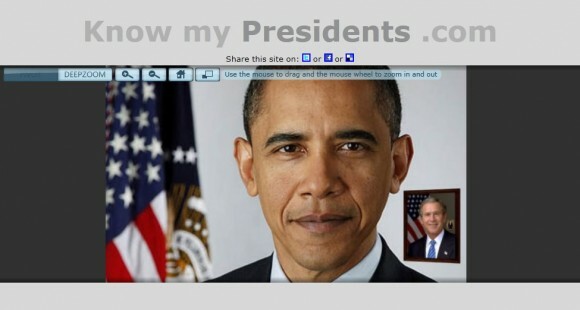 In the Pivot experiment you will see all 44 Presidents, you can zoom in and out of each President using the mouse wheel or the controls at the top right. On the left are the options to filter and cross reference information. 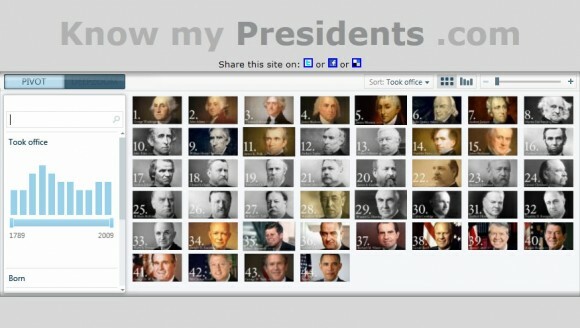 Selecting different data will automatically update the Presidents shown. You can also flick between grid view and bar graph views at the top right of the screen. 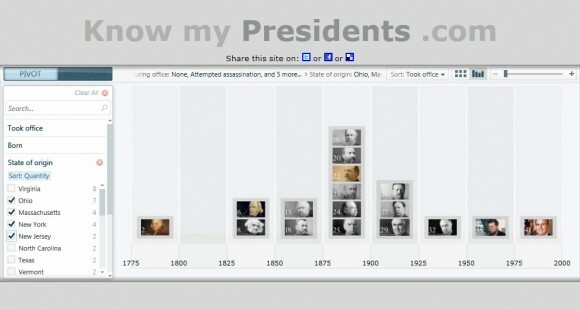 Zoom into each president by clicking on them, doing this will bring up lots of information on the right hand side. 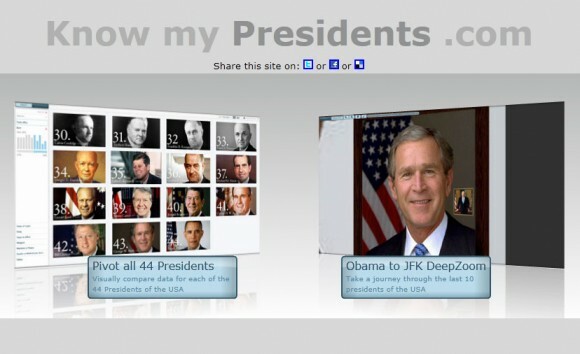 You can drag left, right, up and down to view other presidents, the information on the right will change as you drag around. Switch between the Pivot and the DeepZoom examples by pressing the toggle button in the top left of the screen. Zoom using the mouse wheel, clicking or using the navigation above. 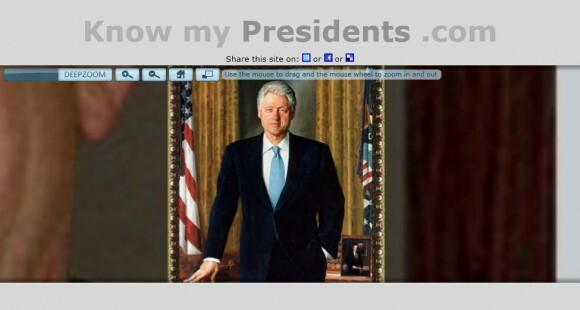 Each President has a picture frame near them that contains the image of the next President. Keep zooming all the way down from Barack Obama to JFK.